In dem Maße, wie Österreich-Ungarns Zentralkriegshafen Pola in der zweiten Hälfte des 19. Jahrhunderts zur unerklärten Hauptstadt der Markgrafschaft Istrien aufstieg, verquickte sich der anhebende italienisch-slawische Nationalitätenkonflikt mit den Machtinteressen der k. u. k. Kriegsmarine, deren wichtigste Akteure vor 1914 einen spezifisch militärisch-staatlichen Verfügungsanspruch auf Pola erhoben und den Italienern in ebenso unbedenklicher wie unduldsamer Pauschalität Irredentismus vorwarfen. Die Arbeit widmet sich dem Konflikt in seiner historischen Entwicklung bis zum Ersten Weltkrieg und untersucht in systematischen Zusammenhängen die verschiedenen Felder der politischen, rechtlichen und religiösen Auseinandersetzungen. A history of Istria in the decades before the First World War has not yet been written. While Pola, Austria-Hungarys most important naval base, was becoming Istria's undeclared capital in the second half of the 19th century, the Italian-Slav nationality conflict was beginning to mingle with the interests of the navy in local politics. The leading naval officers laid claim to their predominance over the Italian local élite and accused it of irredentism. 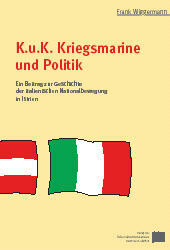 This volume devotes itself to historical, demographic and political conditions of the nationality conflict in Istria and Pola, examines the political conditions of the nationality conflict in Istria and Pola, examines the political and the autonomous administration as power factors and traces the introduction of coercive State administration in Pola before the First World War. The question of Italian irredentism or nationalism, exhaustively discussed during the World War, is finally being dealt with as a problem of definition.